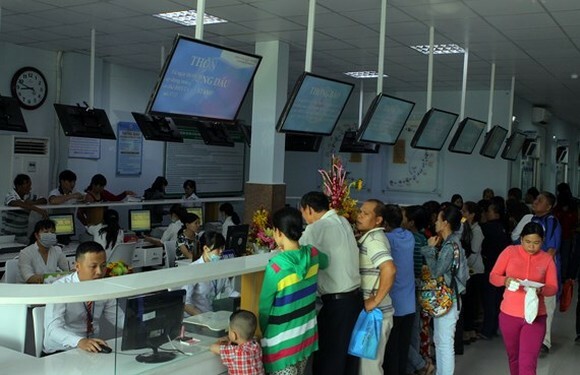 Chairwoman of the Ho Chi Minh City People's Council Nguyen Thi Quyet Tam asked the health sector and administrations to simplify administrative procedures to facilitate people in buying medical insurance and services. The chairwoman made the station at a TV program themed “ Medical Insurance for people – Treatment Quality” held by the municipal People’s Council and HCMC Television yesterday. 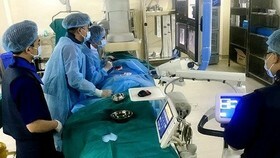 She also ordered infirmaries in the districts to improve quality of treatment to attract more patients. 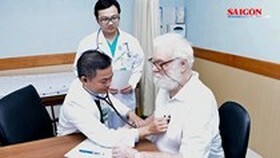 Governments must create good condition for private hospital to take part in providing medical service for people with insurance cards aiming to reduce pressure for public facilities. Moreover, administrators in districts have to increase information of people’s benefits in purchasing health insurance, she said. 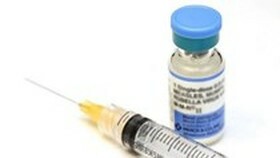 All agencies not alone the health sector take heed to improve treatment quality to expand the coverage of health insurance to the entire population, she stressed. 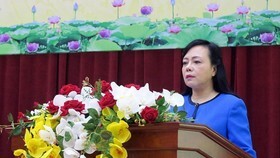 Luu Thi Thanh Huyen, vice director of the HCMC Social Insurance, said after eight year implementation of Medical Insurance Law, HCMC achieved remarkable results with increasingly impressive coverage of medical insurance; moreover, treatment quality is improved much with more hi-tech medical services to be paid by health insurance fund. 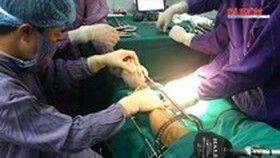 The coverage rate of medical insurance in HCMC is 81 percent, 1 percent lower than the nations’. 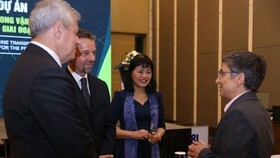 Explaining that, Ms. Huyen said out of 6.7 million people participated in health insurance in the city, over 5 million receive assistance of the government fully or partially and laborers are paid by their employers while the rate of voluntary buyers is very low. She added in 2017, the insurance agency issued over 1,600 medical insurance cards to households. At present, around half of residents in HCMC have not purchased insurance. This is a big challenge for health sector to achieve the 90 percent goal. In the program, some participants said that there have been hiccups along the way; for instance, how to encourage laborers without permanent residency registration in HCMC to buy insurance. 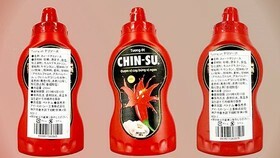 Ms. Huyen said that workers in industrial parks without permanent residency registration, local governments will confirm the names of people in the rented houses, insurance agency will help people to buy medical insurance. To achieve the goal of 90 percent residents in HCMC to have medical insurance by 2020, Ms. Tam asked local party unions and governments to consider it as one of important duties. In next time, the health sector and the insurance agency will liaise closely to solve barriers along the way to provide best service to people. 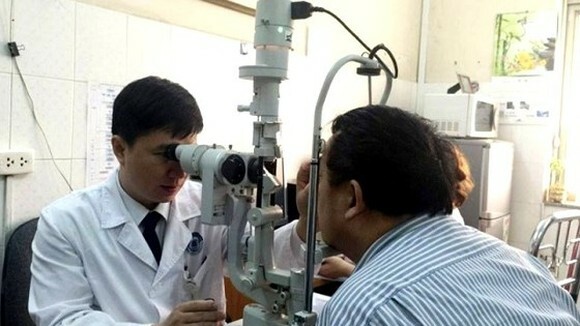 Twenty-five million insured patients have had examination and treatment in first nine months, 12 percent up compared to same period last year. To attract patients, the Department of Health focused on improving healthcare quality by investing in facilities and developing hi-tech departments. Additionally, it opened more satellite medical clinics, developed family doctor model, and expanded emergency network 115 citywide. 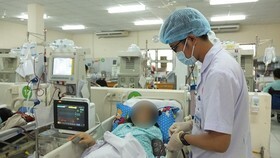 Hospitals are forced to follow treatment plans guided by the Ministry of Health, said Deputy Head of the Department of Health Dr. Tang Chi Thuong.